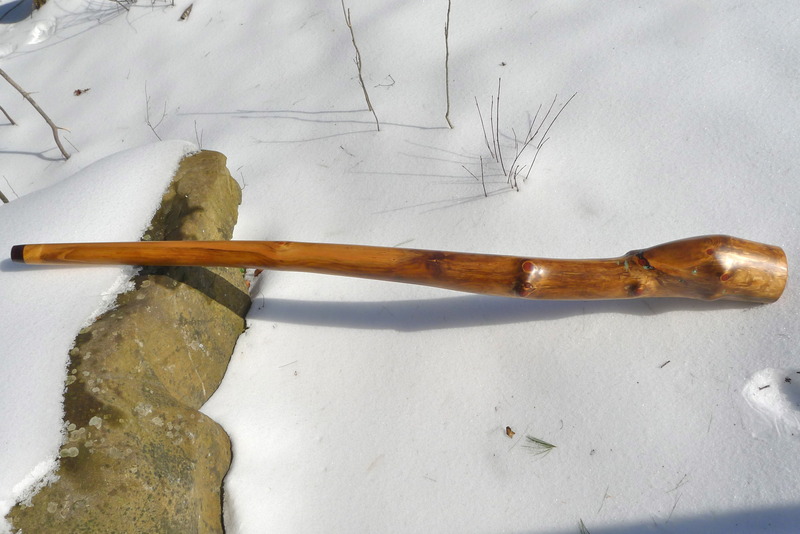 This White Pine Didgeridoo was crafted from a standing dead pine tree and has a BIG voice and tons of power to match! Strong backpressure and a nice open bore which creates clear vocal projection and plenty of space for inner exploration. A warm, rich sound with a "smooth" play and feel. The horns are super sweet and very easy to hit! Recommended for all skill levels! 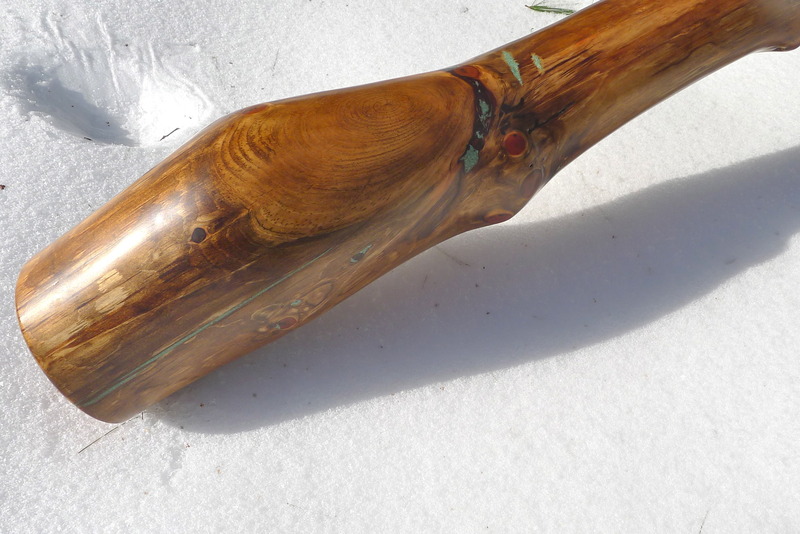 The mouthpiece is a combination of Black Walnut and Red Cedar and there are splashes of Turquoise Inlay throughout the stick. Coated in and out several times for strength and durability and has a smooth satin finish!